Princess Martha Louise of Norway and Ari Behn took the decision of divorce and that decision was announced to the public by a statement made by the couple. Princess Martha Louise said that "Our marriage ended but our parentage still continues.". 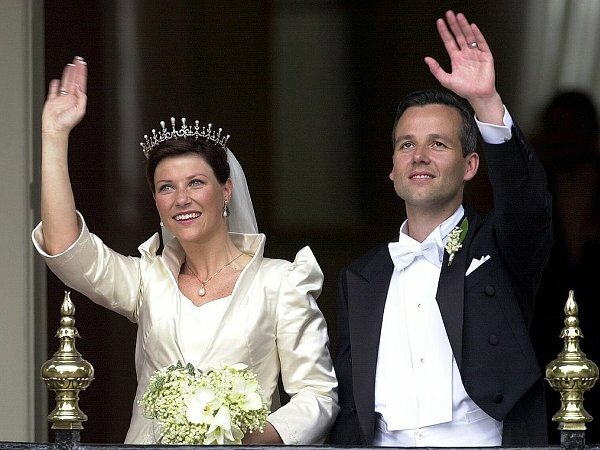 Princess Martha Louise and Ari Behn got married on May 24, 2002 and they have three children: Maud Angelica, Leah Isadora and Emma Tallulah. Princess Martha Louise and Ari Behn will share the guardianship of their children and according to the statement made by them, the children will continue to go to the same schools. A lovely and lively couple, I feel sad for the divorce and wish them both and the three daughters all the best in a difficult time. Sniffles, but you are so right Louise. Sad that that happens but I have been expecting this for some time already. Their body lanquage has been screaming out they have troubles. Sorry to hear. They seemed like happy and matching couple... But for some reason this news didn't come as a big surprise. Hope they can stay friends for the sake of their children. It is sad they are becoming part of devastating statistics. People are less patient these days, broken things are just thrown away without trying to fix them. Sad, sad, sad. They weren't my favourite royals, maybe a bit too bohemian to my taste but loveable and harmless bohemians... And now this. I don't say this is what happened to them but people nowadays are indeed less patient and very easy going with the words "divorce is going to be the best for all of us". How many times I hear divorced friends to say "we've grown apart" and things alike and then see them living on absolutely the same life, the same mistakes, same weaknesses, just without the other one but with the complications of the kid's custody and division of the common assets. Anyway, whatever happened here I'm sorry for them. How sad ! It couldn't have been an easy decision ! Hope it's amicable, for all involved!